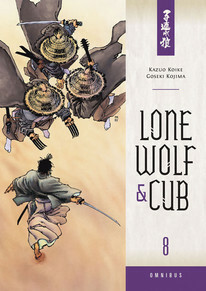 Yagyu Retsudo's failure to stop Ogami Itto has brought an ultimatum from the shogun: kill the Lone Wolf or face execution. But Yagyu will not go forth empty handed. To aid his cause, the shogun places the Firewatchers - his own elite bodyguards - under Yagyu's command! Collects three stories from volume 17, all of volume 18, and two stories from volume 19.